They were quite glad that Sacha had directed them to go that early that day when they saw the lines already forming when they got there. 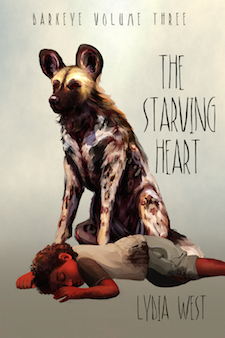 Mhumhi had spared a wistful thought for the extra meat having Kebero might have gotten him, but there was certainly no way the puppy would have been recovered from his earlier distress; certainly no way he’d be prepared to face such a mass of strangers. Mhumhi felt a bit down, thinking of what Kebero must have been feeling, and wished that they hadn’t argued in front of him, but Sacha had been right. He’d have had to find out about their mother sooner or later, maybe it would help him get some closure and sleep through the night again. He resolved, anyway, to pay Kebero some special attention when they got back. When they finally got their meat Mhumhi was still thinking of Kebero, but Kutta’s mind was clearly on the school. Sacha wagged her stub of a tail. “Can we try to go in today?” asked Kutta. Mhumhi wondered if they ought to tell Sacha the hulkers could talk, but she was probably already suspending her disbelief enough for them. Best let it be a surprise. “There’s lots of dogs in the sewers, though,” Mhumhi reminded her. “Hands and fingers, Mhumhi,” Kutta reminded him. “Oh,” said Kutta. They were all quiet for a moment. Mhumhi could tell Kutta had mixed thoughts about it, but he liked the sound of that. They wouldn’t have to hide anything anymore… They’d be able to eat all their meat. Kutta would probably be less tired and thin-looking, too. As for the little hulkers… perhaps he’d miss them a little. Maha had been starting to grow on him, really. But it was for the best. They’d be better off with their own kind. Sacha licked her chops, having finished all of her small portion of meat, and stepped around Mhumhi to peer out at the mass of dogs still waiting in line. Sacha squirmed and hopped at her with a snap of her jaws. Kutta hopped back and fell into a play-bow. Mhumhi jumped sideways and gave Sacha a playful thump of his own so that she whirled around and snapped at him. “I used to lick your behinds when you were puppies and I can do it again,” she growled. Mhumhi’s tail was wagging furiously, for this was the playful side of Sacha- not more than a shade different from her angry side, perhaps, but to be savored as a rare treat. Kutta caught his eye, grinning, and he knelt down and bowled Sacha over with his snout. Kutta took off first, laughing, and he jumped over his furiously squealing sister to follow her. Sacha twisted to her feet and gave chase, as they dashed headlong through the crowd of dogs and back across wide street. They had not played with Sacha like this for a long time, but Kutta and Mhumhi were well-familiar with the game- they slowed down just enough to let Sacha’s short legs catch them up, then turned back and nipped at her with whistles and chatters of glee. Sacha briefly became a furious little spitfire of yowling and snapping, and Mhumhi let himself be knocked over so she could hop on top of his side and tug on his ear. Kutta twisted and bounced back into a bow beside them, tail whisking from side to side. They wrestled gently with her for a short time, making slow progress through the streets but getting quite out of breath. Sacha herself was panting the most, her pink tongue hanging out far over her teeth, but her tail was up and wagging. Mhumhi bounced towards her but Kutta pushed at him with her shoulder. “Let her be,” she said, and so Mhumhi flopped over himself at her feet, poking at her chin with his paws, trying to be a hulker. Mhumhi pushed at Kutta’s chest while she snapped at him, wagging his tail. “No one’s playing. It’s serious practice-” He broke off yelped, as Kutta had given him a sharp nip on the ankle. Mhumhi would’ve liked to point out that Kutta was in no position to tell him to get less frisky, but he kept his mouth shut and pushed himself back onto his feet. “It’s this way, Sacha,” he said, wagging his tail, and pointed himself down an alleyway. Sacha ran up beside him with Kutta following her close behind. She was sniffing the air. Kutta darted up to her other side and put her nose to the ground as well, and for a moment the three of them sniffed together. “Oh, you smell strange things down there all the time, Mhumhi, the muck will play tricks on your nose,” said Kutta, though she sounded a bit nervous. Sacha pricked up her ears and rounded on her. He sprinted up ahead, rounding the corner out onto the sidewalk. Mhumhi turned around mid-stride, hopping sideways with impatience. The street was very open here, and deserted and dusty. There was a lone streetlamp with a bank of solar panels on top sticking up a few feet ahead of him. Kutta whistled behind him, catching up, and he turned to dash towards the streetlamp and then suddenly one of his back legs seemed to split apart with pain and he was jerked to the ground. He got up at once with a whine, leaping away and then was twisted back over. Something was caught on his rear leg, digging in painfully. Kutta ran over to him. “What’s the matter, did you trip?” she asked, tongue still hanging out. “I told you not to go so fast.” She jumped when Mhumhi twisted and squealed. Kutta put her ears back and whined, looking down across Mhumhi’s back leg, which was sticking out at an unnatural angle where he was lying on the sidewalk. Kutta did so, tucking her tail, and Sacha sniffed around Mhumhi while he quivered and tried to stay still. Mhumhi tried to do what she had said, though his leg hurt terribly when he tried to roll over. Kutta gave an anxious whine, dancing on the sidelines. Sacha growled and bit the wire- Mhumhi flinched, feeling the sudden movement go through his leg. Kutta came over and licked at the area where the wire had caught, making Mhumhi flinch and scrape his claws on the concrete. Sacha went around to the other side of the pole, her lip raised. “Are you getting it, Kutta?” Mhumhi asked, raising his head to try and look. His sister gave him a worried glance and did not respond, just kept licking. Sacha came back around the pole. “We’re right here, Mhumhi,” Kutta said, tone soothing. Mhumhi saw her rear up and bite at something high up on the pole. “No, don’t bite it, pull it,” Sacha growled. Kutta tugged, and Mhumhi saw a bit of the wire coming forward in her mouth. Mhumhi opened his eyes and looked up at her. Her small eyes, buried as they were in her bear’s face, were hard and expressionless. Mhumhi still found it comforting. Sacha went around and grabbed the end of the wire, which Kutta had managed to partially unravel. Together, tugging it in a circle, his sisters unwound the last bit of it, and suddenly all the tension on Mhumhi’s leg eased off. “Oh!” he said, rolling over, but when he got up he was jerked back again, his back leg sticking out straight. Mhumhi looked up, and Sacha fell back on all fours. There was indeed a figure approaching them from far down the broad street. It was obscured a little by the shimmering heat rising from the asphalt. The figure kept moving towards them. Mhumhi thought it looked like it was limping. “Maybe he’s been caught in a wire too,” he said, wagging his tail at his own attempt at a joke. Kutta gave him a concerned look. “Just a moment, Mhumhi, we’ll get you off of this,” she said, biting and tugging at the wire. Sacha walked around her to trot towards the figure. She trailed off. The figure limped closer. “It’s got a face a little like yours, Mhumhi,” Kutta observed, and Mhumhi had to agree, reluctantly, that it did share characteristics with a painted dog; the darkened muzzle and eye area, the rounded ears. It had a short tail, which it curled upwards over its heavy hindquarters. The dog opened its mouth and gave a strange kind of chattering noise. Mhumhi felt a strange chill, because it sounded rather like- He glanced at Kutta, and saw the startled look on her face, and knew she heard it too. Rather like hulker laughter. The strange hulking thing seemed to cringe away from her, which Mhumhi found rather amusing- she was a fraction of its size. “Oh!” said Sacha, a rare exclamation of surprise, and jumped back. Mhumhi hopped forward a little, tugging on the wire, trying to see what had startled her. Now that it was closer, they saw why the dog had been limping. There was something wrong with one of its front paws- no, it would have been better to say that the wrong thing was its front paw. Instead of a blunt dog paw it had a dark, perfectly formed hulker hand. Mhumhi had to blink hard to believe what he was seeing. Yes- it was certainly a hulker hand- the dog held its leg up and crooked so as not to step on it, and Mhumhi could see the individual fingers twitching as the hand dangled downwards. “What’s the matter with you!” Sacha shouted, angry in her confusion, and stepped back a little. The strange dog lowered its head and made a strange noise, a long moan, going higher like a question: a calling noise. Mhumhi recognized it; he’d heard it in the sewers. “Stop that!” barked Sacha, moving to snap at the stranger, and he cringed away again and snapped back. His jaws caught her around her small head, and he lifted her off the ground. Mhumhi stared a the image a moment, not comprehending- Sacha’s body dangling like that in his teeth, by the head- he could see her short legs kicking and whirling. Kutta gave a scream and dashed over, baring her teeth; the stranger dropped Sacha on the ground and ran away a few limping steps, squatting low and cringing. Sacha did not move on the ground. Mhumhi’s heart was hammering. He could smell her blood. With a furious twist he jerked free of the pole, the wire finally dragging loose behind him, and ran limping towards Kutta. She was snarling and biting at the flanks of the stranger, who was having a hard time getting away with his malformed paw; he squatted and cringed again, snapping at her, his heavy jaws just missing her head. He gave that awful chattering laugh again. Mhumhi put on a burst of speed, his injured leg stinging as the wire caught and dragged on the street, and lunged at the thing. His teeth caught it in the shoulder and it wailed and whirled around to snap at him. He fell back, stumbling, but before it could really focus on him Kutta bit at it on the other side, so it whirled again, and again, squatting and wailing from their combined assault. “Come on!” barked Mhumhi, his blood rising, a hot kind of rage filling him- he could see Sacha raising her bloody head from the ground- good, good, she was all right, just like he’d thought- but the thing had better pay for hurting her- he dug his teeth in again and caught skin, twisting, feeling it rip, and the thing shrieked. It whirled, and he jumped back, waiting for Kutta to bite it from the other side- but then he felt a jolt of fear. Behind Kutta, who was now tearing at the thing’s flank, was a second one- a second creature, loping fast towards them, and this one had all four legs working properly. Kutta whirled to her feet, one shoulder a red maw, and drove at the second creature, driving it back with its nose still dripping blood. She staggered towards Mhumhi. The first creature was moaning and thrashing, getting more and more caught in Mhumhi’s wire, inadvertently closer. Mhumhi realized, with horror, that he was now tied to the abomination. Kutta whined, and Mhumhi felt sick, looking at the mess that was her shoulder. She came close against him, panting, looking fearfully at the creature as it thrashed and tugged Mhumhi closer. For a moment it was all a mass of thrashing limbs and teeth, the silver wire flashing in the sunlight, the smell of blood thick and strong in the air as it splattered on the street. Abruptly Mhumhi rolled free from the fray. The wire on his leg had been snipped short- one of the strange things’ jaws had closed on it, with a bite just powerful enough to slice through. Then she suddenly came towards him, leaping high over their heads. The larger one tried to rear and snap at her but fell over, its own hind legs now tangled in the wire as well. “Come on, come on,” she gasped, tongue dripping blood, and together they limped and ran forward. “Sacha-” cried Mhumhi, and turned to dart towards her small form. The two things were twisting- the malformed one was still caught, but the second was freed, and it was loping towards them purposefully, ripped up nose shining like a dark badge. Mhumhi tried to limp towards Sacha but Kutta dragged him back. The thing looked, too, following their gaze, and changed direction towards where Sacha was lying still on the ground. “Mhumhi!” said Kutta, and there was something in her voice, something he knew he did not want to hear her say- He pushed at her with his shoulder, willing her to let go, and she did, and she spoke. Mhumhi screamed at her then, shoved her aside, but Kutta caught him by the tail before he could go any further towards the creature, which was now dipping its nose over Sacha’s body. “Let go-!” Mhumhi thrashed, struggling, and Kutta fell down hard on her side. The creature raised its head and looked at them. “Mhumhi, we have to go, we have to run, now, while they’re distracted,” Kutta gasped. It was opening its jaws over Sacha’s body. He turned and ran, ran behind her, ran away. “go that early that day” drop one of the ‘that’s? “He broke off yelped,” broke off with a yelp? Crap, Sacha, don’t get eaten by a gorilla!